Color printers are super for many homeschool projects but ink can get expensive. Here we give you ink saving pointers and low cost printers with the cheapest ink. I use my color printer a lot for lapbooking. Using these saving tip I spend less than $50 a year on color ink. I choose to save by buying re-manufactured ink online. Re-manufactured ink cartridges cost less than half the price of store-bought cartridges but produce the same quality printouts. Some manufacturers try to scare you into only using their ink but I have used third party ink for four years and never had a problem. 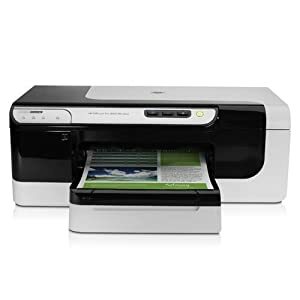 Some may say it is a gamble but I have saved hundreds of dollars and I can get a new printer less than $100 so even if I ruin my printer I come out ahead. 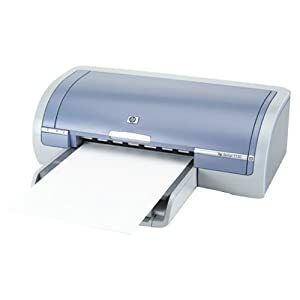 I have an HP 3210 Photosmart printer. I can buy re-manufactured set of 13 ink cartridges under $30.00 (well over $100 at HP). These will last me most of school year. See Remanufactured ink at Amazon also try ebay. The right printer settings are essential. Make “low quality” or “draft” your default setting. If you need “high quality” settings you can set it manually. I have not refilled my own because I know I will make a mess. But here is a tutorial if you want to give it a try. Save ink while maintaining print quality is to use software like Inksaver, PretonSaver, Ecofont or Ecoprint. These allow you to control the amount of ink used by your inkjet printer, making your ink cartridges last longer. (see “Printing With a Light Touch“). I have my huge, heavy, dinosaur, non-color laser printer for 15 years! It so much faster and cheaper than ink jets. Laser printer toner goes much farther than inkjet cartridges and is cheaper. I buy toner online in bulk for about $15 a cartridge. One cartage last several months and we print hundreds of pages each week. The inks are so cheap, in fact, that we have to talk about them first. The standard-size supplies (the printer ships with a set) are already a bargain: A 1000-page black cartridge costs $25.99 (about 2.6 cents per page), while each 900-page cyan, magenta, or yellow cartridge costs $19.99 (about 2.2 cents per color per page). A four-color page would cost about 9.3 cents. 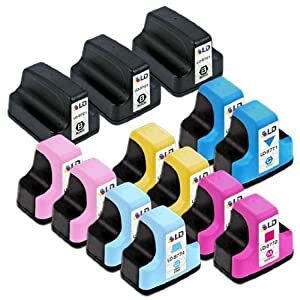 The high-yield cartridges are even better, as HP has priced them at $35.99 for 2200 black pages (about 1.6 cents per page) and $25.99 per color for 1400 pages (about 1.9 cents per color per page). That pegs a four-color page at just 7.2 cents. The lowest-cost color laser printer we’ve tested, the $199 Dell 1230c, has significantly more-expensive toner. Costs under $100.00. Ink cost per text page is about 4 cents. Ink cost per color page is about 13 cents (cost based on standard inks and default settings on plain paper). HP’s DeskJet 5150 color inkjet printer offers high resolution output, fast print speeds, and time saving features that you won’t want to be without. Delivering color prints at 14 ppm and black text at up to 19 ppm, you can choose from five different print modes to optimize print quality and speed. Resolutions of up to 4,800 dpi are achieved on a variety of media types and sizes, and optional 6-ink color printing can achieve prints that will resist fading. Previous: How to Make a Simple Lapbook & Free Blue Templates! Perfect timing Robin – my printer just died and it seems like a mine-field trying to get good advice on these things! Thanks and blessings!